More that 20,000 people around the world have used our architecture and design recruitment platform Dezeen Jobs to find work in the past 12 months. One year after we introduced user accounts to help jobseekers manage their applications, the number of active users has grown dramatically, with over 2,000 new accounts opening each month. 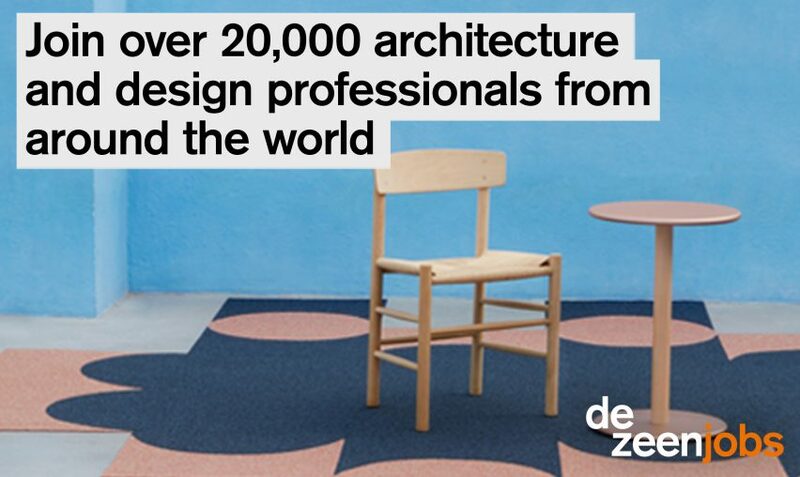 Dezeen Jobs is the world's most vibrant recruitment platform for the architecture, interiors and design industries, with jobseekers in 130 countries. In total, registered jobseekers submit an average of 12,000 job applications through the site each month, an increase of over 200 per cent on this time last year. Jobseeker accounts allow users to browse all the latest job opportunities, submit their applications securely and hassle-free, and manage their past applications directly. The site now has over 4,000 registered employers, posting an average 400 new jobs each month. This year we have introduced company profiles, including this one for Foster + Partners, which we are rolling out for the companies that post ads most often. Company profiles give employers a dedicated landing page on Dezeen Jobs, with information about the company and all live job ads. This makes it easier for potential employees to see all opportunities at their favourite companies and find out more before applying. We aim to create profiles for all our advertisers. In the past year positions have been offered in 55 different countries. The most popular countries for job ads are the UK, USA, China, Netherlands and Germany. Dezeen Jobs gives employers unique access to the global talent pool. "Thank you for helping us find some of the best talents of the world!" said Dutch designer Marcel Wanders. "Dezeen really made the difference in our international recruitment effort," said Shanghai-based architect Neri&Hu. Architecture firms are the most prolific job advertisers. The next most posted type of jobs are with design firms and branding agencies, followed by interior design firms and furniture design roles. Academic jobs and retail jobs are also very popular, while other sectors that regularly appear on Dezeen Jobs are arts, advertising, media, PR, film and fashion. The most posted job location is London, with New York, Amsterdam, Beijing and Hong Kong among other popular locations. The fastest-growing jobs market on Dezeen Jobs is China, with strong growth in positions also advertised in USA, Australia, Germany and Denmark. Dezeen Jobs celebrated its tenth birthday earlier this year, with employers lining up to thank the site for helping them over the years. "Dezeen Jobs has reinvented recruitment for our industry," said UK architect WilkinsonEyre. "The staff are super friendly, efficient and the price is very competitive," said Dutch firm MVRDV.